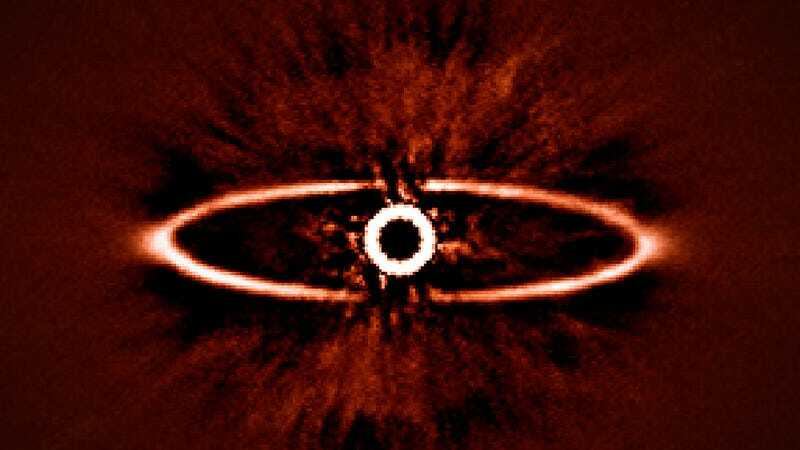 No, that&#39;s not the Eye of Sauron — it&#39;s a planetary system being born. No, that's not the Eye of Sauron — it's a planetary system being born. It's one of the first images captured by SPHERE, a new planet-finder installed in Chile last month. The image shows the protoplanetary disc surrounding star HR4796A — just one of many astounding discoveries SPHERE is sure to make.